If you are looking for fibromyalgia natural remedies, there are some things that can help. Try the remedies here for best results. If you have widespread muscle pain without any known cause, Fibromyalgia may be at the root of it. For diagnosis, there must be pain in 11 of 18 specific points of trigger. 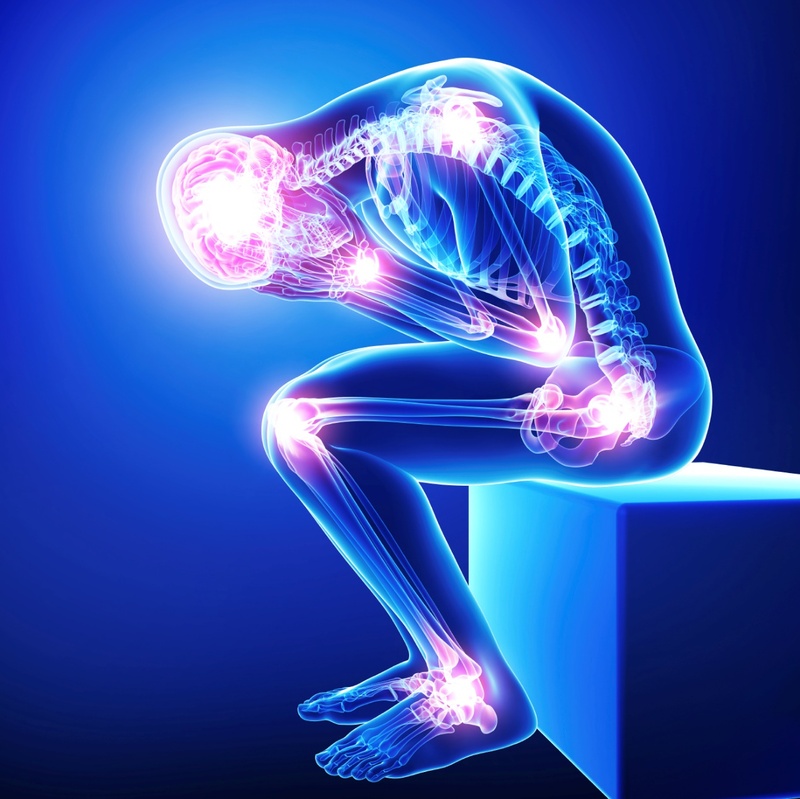 Fibromyalgia is a long-term syndrome that is widespread in the connective tissues and muscles. The treatment usually includes antidepressants, painkillers and anti-seizure drugs. These are used to reduce insomnia, fatigue and pain. For some, medications may not give the perfect solution. There may be side effects as well. If you are looking for natural remedies, there are a few things you can try. Relaxing such as tai chi, deep breathing, yoga and meditation can be helpful for fibromyalgia. According to an Oregon Health & Science University study, yoga can help combat fatigue, stiffness, poor sleep, anxiety, pain, stiffness, poor memory, poor balance and depression. A study showed a 75-minute yoga class twice a week for two months can increase cortisol levels in women with fibromyalgia, lowering pain and improving mindfulness. Those with fibromyalgia tend to have reduced levels of cortisol. Try practicing yoga about a half hour daily. Do mindfulness meditation daily for about a half hour. Try deep muscle relaxation exercises. Long term exercise programs have been shown to reduce fibromyalgia symptoms. It can prevent muscle wasting and boost the body’s neurochemical balance by boosting endorphins, which fight pain. Exercise also triggers positive emotions and reduces stress. Start with low impact exercise for about 20 minutes about three times a week, and then increase slowly. This can be seated exercises, walking, flexibility exercises, balance work, aerobics or strength exercises. There are many exercises that are safe for most people. You should start with mild exercise, and slowly increase from there. You can start with stretching before regular activities and gradually increase exercise from there. Epsom salt is one of the natural remedies for fibromyalgia. Magnesium sulfate is what makes up Epsom salt. If you soak in a bath with the salts, your body will absorb magnesium. Fibromyalgia can be associated with deficiency in magnesium. The Epsom salt bath can help with relaxation and pain reduction. Add two cups Epsom salt to your warm tub. Soak for about a half an hour. Try this three times a week. Both acupuncture and acupressure can help with fibromyalgia symptoms by restoring energy to pathways in the body. It can adjust the levels of neurotransmitters in the spinal cord and brain. This can reduce anxiety and induce relaxation. Depending on your tender points and symptoms, press the sensitive trigger spots for seconds. You can also rub circles on the trigger points without adding pressure. Seek a doctor, physical therapist or neurologist for an acupuncturist recommendation. They can help you get the right treatment. For your best result, combine acupuncture and acupressure with exercise, meditation and massage. Massage is one of the natural remedies for fibromyalgia. It can help improve the range of motion in your joints and relax your muscles. It relieves stress and stimulates the body’s natural chemical production of painkillers. MLDT or manual lymph drainage therapy is a type of massage that has been shown to help fibromyalgia. This can help to loosen lymph blockages which can be contributing to pain. For the best results use a therapist that has experience with fibromyalgia. Going to bed and rising at the same time daily. Limit noise and light during bedtime. Learning to be in control of your body such as your breathing and heart rate can help to reduce pain. There is a rate of breathing, which is individual, that can trigger reflexes, which can help with how the body deals with pain. 5-HTP (5-Hydroxytryptophan). This is critical to the production of serotonin in the brain. Low levels are linked to depression so an increase in serotonin can promote a better mood. There is also a study showing 5-HTP supplements can help ease morning stiffness, fibromyalgia pain, insomnia and anxiety. In the 80s, 5-HTP supplements were associated with EMS or eosinophilia-myalgia syndrome. S-Adenosyl-L-Methionine or SAMe. This is a derivative of amino acid which boosts dopamine and serotonin. There is some research that suggests SAMe can improve sleep and mood. Magnesium. Those with fibromyalgia have low-levels of this mineral. It is suggested taking supplements can help. Melatonin. Often given to improve sleep, this may also help with fibromyalgia pain. St. John’s wort. This herb is often used to treat symptoms associated with fibromyalgia. There are some studies that show it helps with mild depression and it may limit the effectiveness of other medications. Omega-3 Fatty Acids: These are unsaturated fats that help to reduce inflammation and pain. They can curb stiffness and joint aches. Eat fatty fish like anchovies, sardines, tuna, herring or wild salmon several times a week. You should also take fish oil supplements daily. You can get omega-3s from walnuts, flaxseeds, soybean oil and canola oil. Before starting a supplement, you should make sure it won’t interact with anything by checking with your doctor. Eat lots of fruits like pomegranates, blueberries and cherries. Get your veggies like spinach, bell peppers, and kale because they have a lot of antioxidants. Eat less red meat and more fish, beans or soy. Reduce fat, salt and sugar. Try eliminating trans-fat such as doughnuts, cakes and margarine. Avoid additives like MSG in refined foods. Drink enough water; think 6-8 glasses a day. Get your nutrients like vitamin D (from egg yolks, tuna, cheese and salmon), vitamin C (like in potatoes, fruits and tomatoes), calcium (from yogurt, cheese and milk) and omega-3 (from crab, oils, tuna and salmon). Check with a doctor to see if you should be on supplements.